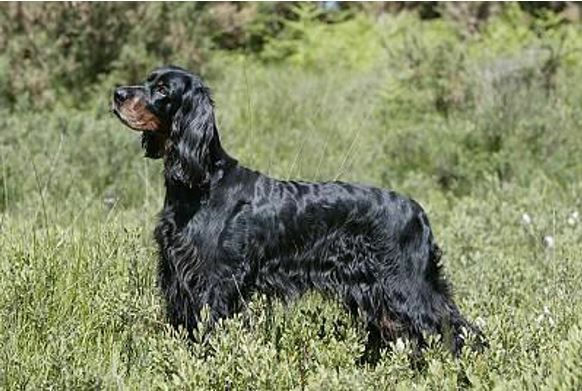 Over 12 years ago, on July the 23rd, 2003, Trisca became the ﬁrst Gordon Setter (and of ANY Setter Breed) in United Kingdom history to become a Dual Champion. 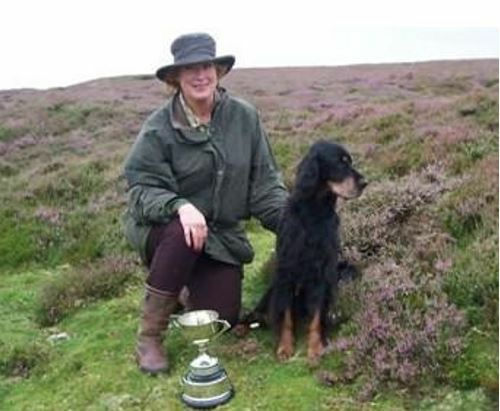 This achievement was so unique, it was featured on the front page of both UK general dog papers, been featured in canine/shooting magazines, books, and generated comments and congratulations worldwide. 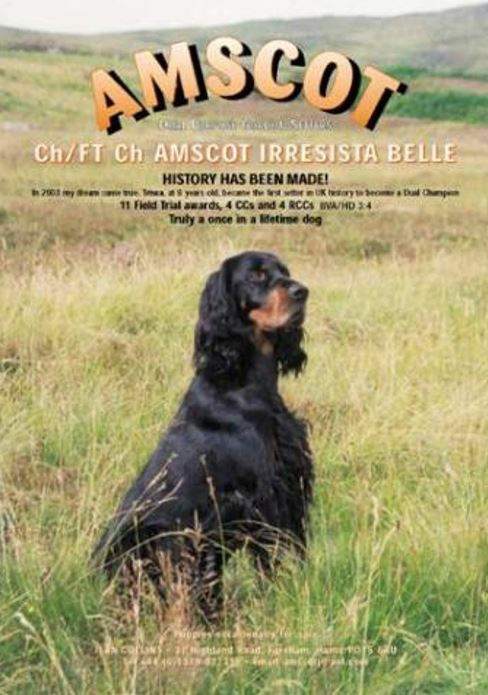 She is still mentioned in Gundog articles and publications even now. 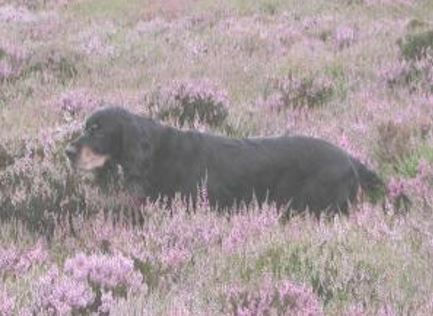 A once in a lifetime dog.